Michi was born in Hyogo Japan. He began drawing as a boy, but really started drawing at age 25 after getting his first tattoo in Toronto, Canada during a year long working holiday. He fell in love with tattoo art and began designing his own tattoos. Impressed with Michi's designs after looking through his sketchbook, a tattoo artist told Michi he had a good eye. Soon, Michi's friends wanted him to design tattoos for them. 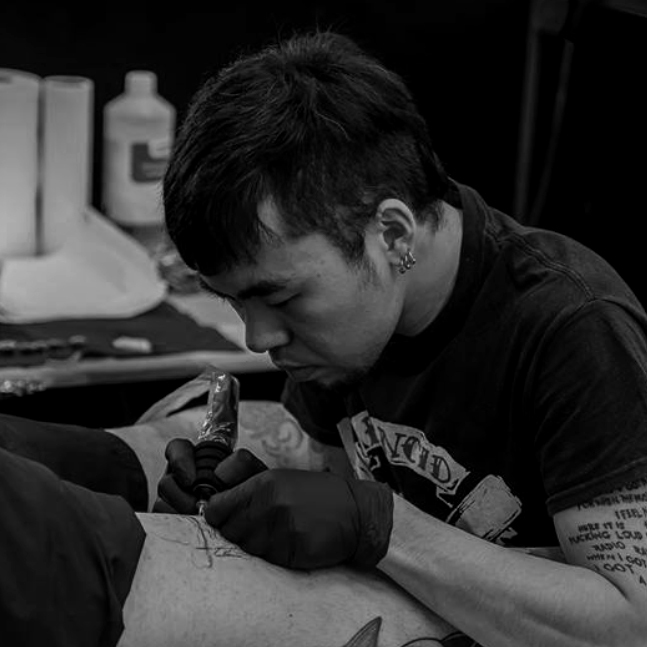 This triggered him to start thinking about tattooing and he pursued becoming a tattoo artist. With a black and grey tattoo style similar to his drawings, Michi knew that he would need to learn color tattooing. He understood that customers will want color tattoos, so he began experimenting and practicing with watercolor painting. His confidence with water color was almost instant and he quickly moved on to oil painting. He loved working with oil paint so much, his practicing with color quickly turned into an art collection.